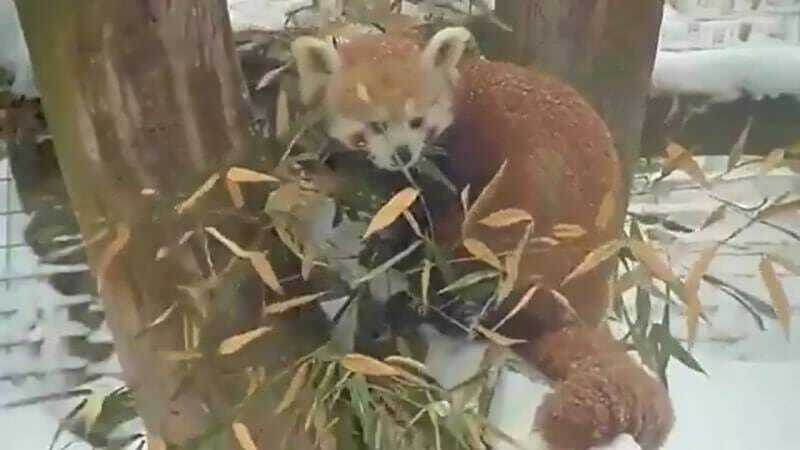 As a major snow storm hits the northeastern US, everyone seems to care except the red pandas at the Trevor Zoo. Located in Millbrook, NY, about 90 miles north of New York City, they got less snow than expected. The storm was forecasted to surpass the Blizzard of 1888, but the storm stayed along the coast which kept warmer air. 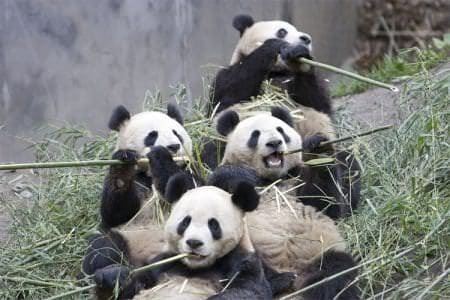 These pandas didn’t seem to care, mindlessly munching on some bamboo and frolicking around. Last Sunday, Pandas in the Ueno Zoo in Tokyo mated for the first time in 4 long years. The encounter only lasted for 52 seconds, but they hope it will be a successful one. Both pandas 11 years old were separated after the encounter. Pandas are lonely creatures and will fight if left together. Pandas reach sexual maturity at 5.5-6.5 years old. The mating season is between March and May and the pandas will typically only associate with each other for just a few days. They have one of the shortest breeding season of any other mammal. The zoo closed the panda exhibit in preparation for the mating season. It has been closed since February 22, 2017 and now they have mated we would assume it shall be open soon.